Four creative agencies are pitching for Moneysupermarket.com, Britvic is reviewing a new ad account, and UM joins this year's media new-business rankings. Moneysupermarket.com has briefed the four agencies hoping to win its creative account ahead of a pitch: Abbott Mead Vickers BBDO, Saatchi & Saatchi London; WCRS and Wieden & Kennedy London. The price comparison website kicked off a review through AAR after splitting with Mother. There will be at least one ad agency celebrating some good fortune on Friday 13th: Asda is expected to name the winner of its ad agency review tomorrow. Incumbent Saatchi & Saatchi repitched against AMV BBDO, J Walter Thompson London and Leo Burnett London. Betway is holding chemistry meetings later this month with eight agencies hoping to win its creative account. AAR is handling the review and incumbent Above & Beyond is not repitching. Britvic has kicked off a search for a creative agency to handle its portfolio of new beverage brands targeting adults. There is no incumbent and the review is being run through Creativebrief. P&O Ferries has opened talks with agencies about the future of its advertising account. It last pitched the business in 2014 when the account was handed to MRM Meteorite. Chocolate brand Lily O'Brien’s is scouting for an ad agency as it plans a TV ad push later this year. There is no incumbent. MediaCom has beaten Zenith and Carat to win Sky's estimated £425m media-buying account across five European markets. Virtually all of Sky's UK media-buying account, including search, which is handled by Carat’s sister agency, iProspect, was up for review and MediaCom will pick that up. Only out-of-home media, which is handled by Rapport, was excluded from the review. WPP’s Group M media agencies already handled most of Sky’s media-buying, with MediaCom managing the UK, Ireland, Spain and Austria and shared between Mindshare and MediaCom in Germany. Betfair has named Leo Burnett London as its creative agency of record across international markets, following a competitive review. Leo Burnett defeated four agencies to win the business, although previous incumbent Lucky Generals opted not to pitch. The review was handled in-house. Yopa, the fixed-fee estate agent, has appointed Manning Gottlieb OMD as its UK media agency after a competitive pitch. The £12m account moves from The Specialist Works, which was only appointed last year. 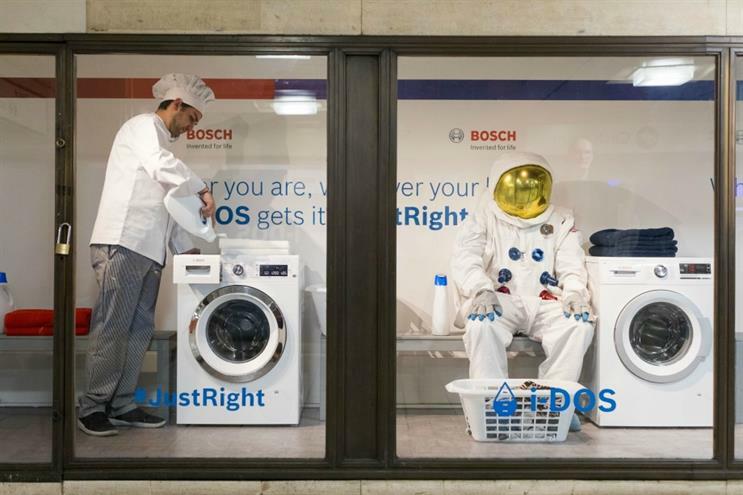 Bosch, the home appliances maker, has appointed TBWA\Manchester as its creative agency after a competitive pitch. Bonfire is the incumbent. American Apparel is relaunching in the UK and has chosen Thinking Juice to help with UK media planning across all channels, working closely with the brand's in-house creative team in Los Angeles. The Royal British Legion has hired Leagas Delaney as its creative agency of record after a competitive review, replacing Y&R London which did not repitch for the business. Outfittery, the men’s personal fashion shopping portal, has appointed Poke London as its lead digital partner agency, following a pitch against five other undisclosed agencies. Poke has been tasked with honing and strengthening the brand’s proposition and developing seasonal digital campaigns. There is no incumbent. London Zoo operator and conservation charity Zoological Society of London has appointed UM as its new media strategy, planning and buying agency following a competitive pitch. Arena Media had previously worked with ZSL after winning the account in 2012. M&C Saatchi has been appointed by Legal & General Investment Management to lead their its major consumer campaign after a competitive pitch. The brief, encompassing creative and PR, focuses on encouraging consumers to invest more to help improve their financial security. The first work will launch in June. MediaCom North is now Speedo and Ellesse brand owner Pentland Brands’ lead global media agency after a consolidation. Leeds-based Prohibition has won a project brief from the Royal Shakespeare Company to develop a group-wide social media strategy, following a five-way competitive pitch.